Bookends is the newsletter for the Friends of the Spring Hill College Library. It is published two to three times a year for all members. The Archive of Bookends is listed below. 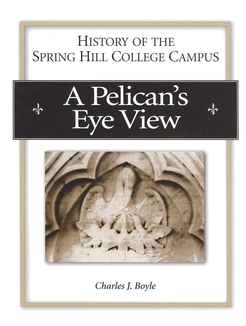 This booklet is intended to be a brief history, largely photographic, of the development of the Spring Hill College campus. The back of this booklet is a bonus - a timeline of Spring Hill College events from 1830 to 1997. 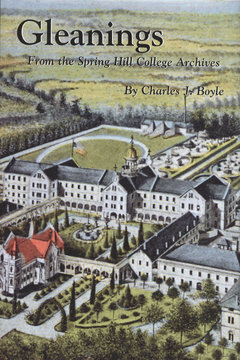 During his years as Spring Hill College's Archivist, Dr. Charles Boyle wrote numerous essays for alumni and campus publications, all appearing under the heading, “From the Archives.” Gleanings is a compilation of these short, insightful, pieces. This book is intended as a companion piece to Twice Remembered, which was published in 1993. Gleanings is a collection of essays and speeches of the author's own making, works that originated from his years of employment as Spring Hill College's archivist. The idea for the book sprang from several short articles titled "From the Archives" appeared in alumni and on-campus publications and were well received. A look at the role athletics played during the course of the College's history, the information was collected from newspaper articles, magazines, and yearbooks. 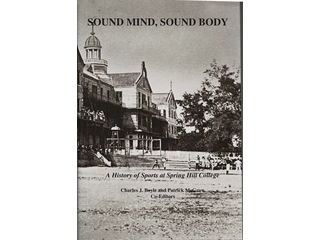 From baseball to tennis, and collegiate to intramural teams, the books present a window into the sports archives at Spring Hill College. The book is available for $15 from the Book Nook, the Circulation Desk, and various gift shops throughout Mobile. 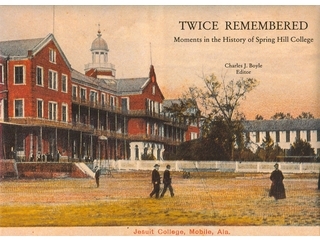 The book reflects on the history of Spring Hill College from its first uncertain years after its founding in 1830, to its 100-year anniversary in 1930. The editor, a former English professor at Spring Hill College, has collected a number of stories and anecdotes featuring Jesuits, laypeople and students who shared humor, hardship, and courage. This book will transport the reader into a time almost forgotten, but worth remembering.